If you live in Birmingham, and are familiar with the centre, you'll know about The Yardbird Jazz Club . Oh the Yardbird; the original rocker and roller of all things music, indie, and right. 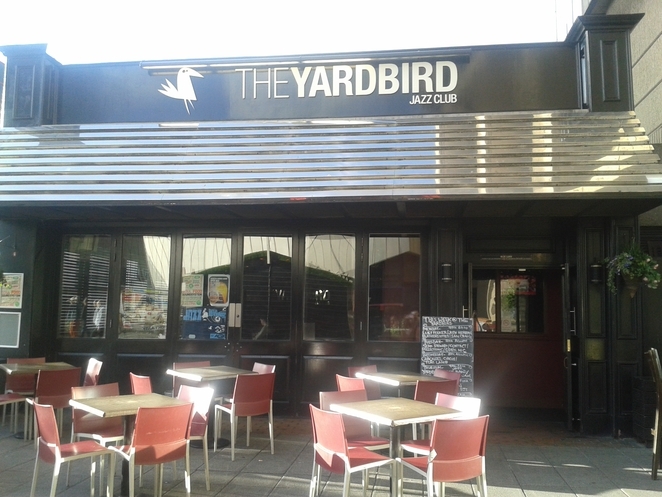 A supporter from the beginning of a more organic movement, The Yardbird has long since been established as the place for the unsigned jazz and funk scene in Birmingham. Open mic night, jazz bands, soul soloists, and jazz appreciation groups all flock to The Yardbird. Local and celebrated DJ's take to the decks, such as DJ Big Man, and it's really a great night out with like-minded folk who love their swing, soul, and sassy beats. 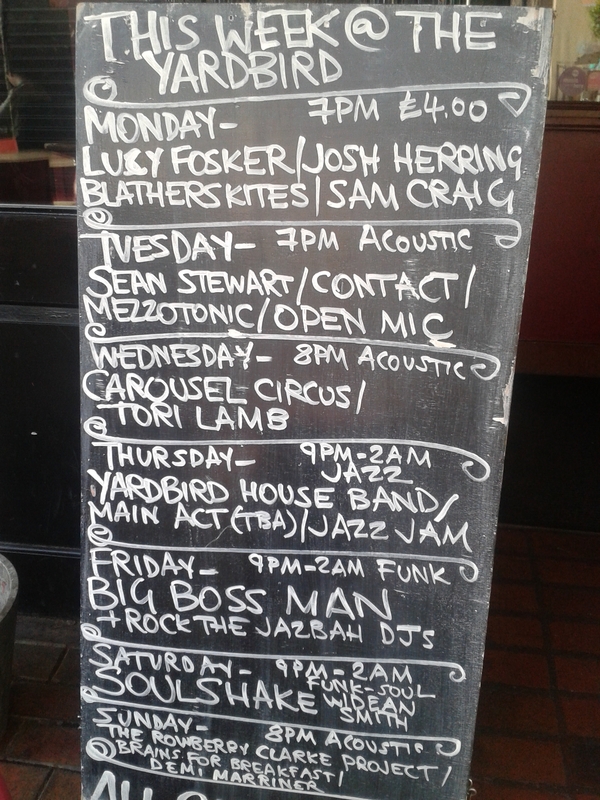 The weekly line up is advertised on a board outside the club, so you don't really need to go in to know if they're playing a jazzy tune you like, but I never go in based on what's written outside. The Yardbird is a place you need to feel to know if you're going to like it. Even if they don't have an act on you don't rate, go in anyway because it is always a great night out. 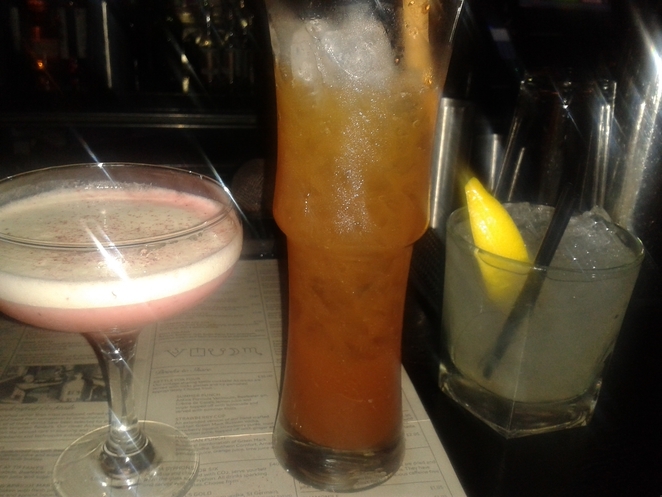 I've wandered in with friends prior to hitting broad street (just to get us in the mood), as well as rolling into The Yardbird an hour before it closes, each time has been great. 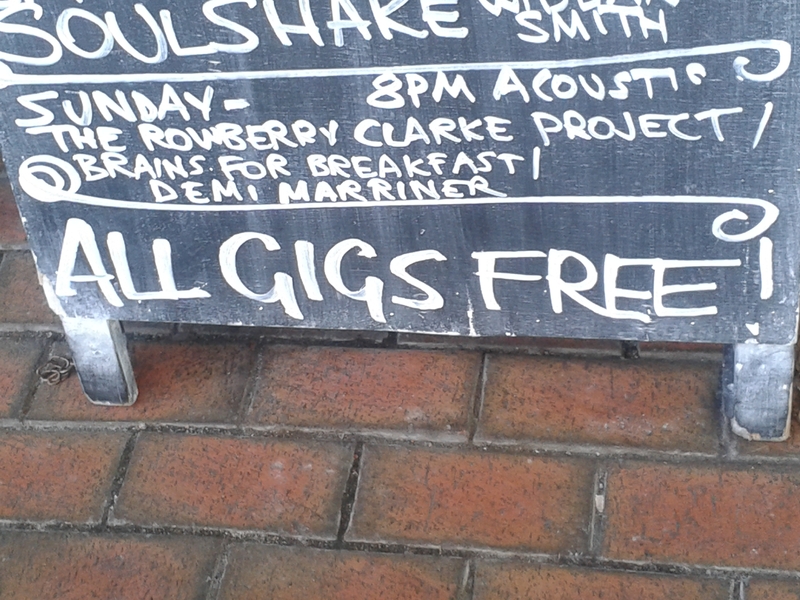 Back to the music; all gigs are free, as advertised on the outside board, and the acts are fantastic. Undoubtedly it's the people that 'make it'. Firmly ensconced in the indie group appreciation, all of the unsigned bands and fellow customers are cool. By cool I don't mean impeccably dressed, but so relaxed they're almost lying down. I've never experienced or seen any trouble in the club, probably because folk are too happy to care about a drunken tiff, or too lost in the music. It's rare that I'd visit the club on the weekend though because it's a sunset kind of place - any time between 7 and 7.30pm on a week day is the optimum time to visit. You're guaranteed a seat, the bartenders attention, and have time to pick your liquor. Over the weekend it gets quite packed, you see. That said there is outdoor seating if you need a a breather, but I recommend staying inside and soaking up the gig-like atmosphere. There's no entry fee, and the drinks drinks aren't expensive. For a pint of lager my friend paid £3.40 for two cocktails we paid £8.90 and a pineapple juice costs £1.50. Average prices for a not-so-average club. Music aside, it's a great little club in the city, which offers a great evening out - even on a Monday night.